We challenged adventurers from across the country to rally for war against the Legion and compete in The Great Collegiate Dungeon Race! 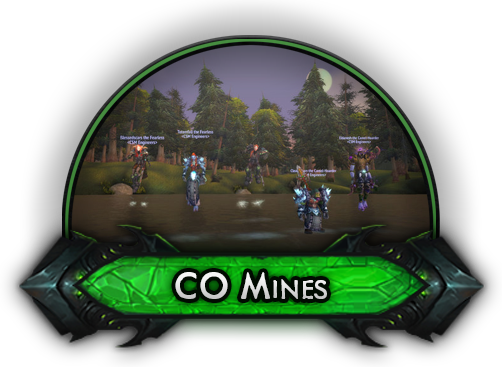 Nineteen teams joined the fray and competed across Mythic Keystone dungeon races in eight rounds of double-eliminations to bring us to our final four teams: UC Irvine, UNC Greensboro, Carleton University and Colorado School of Mines. You can tune in this Sunday, December 4th at 12pm PST as they compete for a share of $20,000 in scholarship prizing. They'll be racing through Mythic Level 10 dungeons with scaled gear and artifact levels. Famed livestreamer Ted "Sloot" Bacinschi and World of Warcraft Community Manager Josh "Lore" Allen will be joining us on the stream to shoutcast this first-ever broadcast of a Mythic+ Race! We took some time to interview each of these super-talented teams to get a better sense of what brought them together, how long they’ve been playing, and what strategies got them to where they are now. 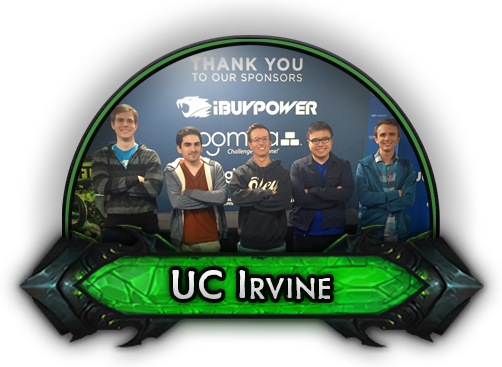 University of California, Irvine has had a strong performance throughout with a 3-0 record in the playoffs. Their lineup consists of Frostalicious as Tank, Protoges as Healer and Waldoqq, Selectt and LocTran as DPS. Combined, they have over 40 years of experience in World of Warcraft! Interesting Fact: 4 out of the 5 players also participated in other Tespa Tournaments this Fall. Protoges and Selectt competed on UC Irvine’s Overwatch team, which made it to the quarterfinals of the Tespa Collegiate Series: Overwatch Playoffs! Q: What's your most memorable experience from World of Warcraft? Selectt: Getting 2200 rating in 3v3 arena when I was like 12 or 13 years old was pretty awesome. Q: When did you start playing World of Warcraft? Loctran: I played World of Warcraft on release with my two brothers and my dad. We all ditched school and my dad took the day off at work in order to play with us all day. Q: What special strategy or nuance will set your team apart from the others? Waldoqq: The other four guys on the team are on the other Esports teams at UCI. Two of them are on the Overwatch team and the other two are on the LoL team. They know what is expected in competitive collegiate esports, and learn the strategies and routes of each dungeon very quickly. Protoges: I told my team I'd play healer, but I just go in to cat form and tell them not to take damage if they want to live. Q: Finally, is there anything you'd like to say to your friends and fans? Loctran: I'd like to thank a lot of my friends that I made from World of Warcraft, mainly Polas, Warlen, and Fayth. Thanks to my family and more specifically my brothers Huy and Khoi for always supporting my competitive gaming career, they were the reason I got into gaming. Shoutouts to my friend Alec Shewry that I grew up playing WoW with. UNC Greensburo’s record through the playoffs was 3-1 and are confident their experience together is going to make the difference. Their team comp is: Morgraine as Tank, Mirido as Healer and Arassiv, Briggsta and Thndrdiglett as DPS. They have a combined 42 years of experience playing World of Warcraft! 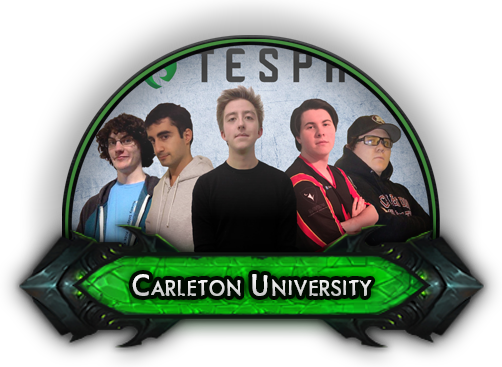 Interesting Fact: UNC Greensboro's team qualified for the regional finals of Tespa Collegiate Series: Overwatch! Mirido: In Cataclysm we had a small knit guild of Friends and Family named <The Awesome Pal Team> and we casually raided one night a week, even though it wasn't a huge accomplishment in the grand scheme of things, downing Madness of Deathwing with my family and best friends was unforgettable. Q: Do you have any funny stories you could share with us about your teammates or clubmates? Morgraine: During group stages, we had a bit of time to kill in between rounds, so we decided to go get transmog gear from old raids to get the transmog 10% dps buff. After killing Yogg-saron we realized that the entire server (and all the teams still doing their runs) had just received a message telling them we had achieved realm first Death's Demise. We all had a good laugh after being congratulated by some of the teams that had already finished their run. ThndrDiglett: I believe the experience we gathered by working together and achieving the event realm's first Yogg-Saron kill shows the coordination and skill we bring to the table. Morgraine: Shout out to my guild Conviction on Bleeding Hollow. Also, Hi mom. Carleton University also had a perfect 3-0 record through the playoffs. Their team composition is sStutter as Tank, Fitzy as Healer and Noodle, Mudduckin and Ludicrous as DPS. They are one of our most experienced teams with over 50 years of combined experience! Interesting Fact: Carleton's team, Ember Collegiate, made it to the Round of 16 in this year's Heroes of the Dorm! Noodle: Smelting copper in Goldshire on a level 8 paladin thinking that the sword I was gonna make with Blacksmithing would make me a god. Fitzy: 150 ping and good back posture. Mudduckin: Thanks for watching and cheering us on the entire way through the bracket stage. Also I would like the thank the groups from my guild who have been running and testing strategies over the course of the tournament. Colorado School of Mines comes into the finals with a record of 4-1. Their lineup is Scarred as Tank, Eldanesh as Healer and FiveCents, Fuzzy, and CleanSpoon as DPS. They have a collective 32 years of World of Warcraft experience! Interesting Fact: Scarred and Eldanesh played on the CSM team for Heroes of the Dorm 2016! Scarred: We got our first kill on Heroic Morchok With 1 guy left with 1% HP remaining. FiveCents: Running Elemental Shaman & Demonology Warlock in 2v2 Arenas with full ICC25 Heroic gear and blowing people up in less than 10 seconds. Looking at you, Parker. Fuzzy: We're all highly educated engineers. We're intelligent and diligent. Our skills and planning abilities will give us the winning edge! Fuzzy: Thanks so much to my supportive friends, family, and amazing girlfriend!